Our 12-Day Ayahuasca Retreat is developed in close cooperation with the Temple’s team of Shipibo healers, as far as possible in accordance with their traditional use of the medicinal plants of the Amazon. Our approach to healing, our staff and overall facilitation has evolved since 2007 into a highly effective healing retreat. An ayahuasca retreat at the Temple offers our guests an opportunity to experience deep healing that reaches into the energetic roots of trauma, imbalance and disorder, as well as initiates a long-term journey of self-reflection, self-discovery and spiritual transformation. The foundation of our retreats is traditional Amazonian plant-spirit healing complemented by progressive therapeutic and Eastern psycho-spiritual practices to ensure effective and long-lasting integration. The Temple is open to those* who are seriously committed to healing their body, mind, emotions and spirit and who are looking for a deeper understanding of themselves and the spirit world that surrounds us all. *Please note that an ayahuasca retreat is not suitable for everybody. There are some exceptions where we will not be able to accept a booking due to certain psychological and physical conditions or potential medical contraindications. All applicants must complete a comprehensive medical screening and psychological questionnaire to identify any potential complications. We deeply honor and respect the indigenous healing traditions of the Amazon that have evolved over thousands of years and offer the most effective ayahuasca healing experience. We work with some of the most respected, kind-hearted and powerful healers (Onanya) from the Shipibo tribe, who are experts in ayahuasca healing and plant-spirit shamanism of the Amazon. Our team of healers has been carefully selected over many years to work at the Temple. They bring a rich cultural and medicinal legacy, time-honored rituals, intricate practices, an expansive cosmology, an encyclopedic knowledge of medicinal plants of the Amazon and a far-reaching ancestral lineage to the healing process. In the Shipibo tradition, the healing process is focused on cleansing and purifying the energy field that surrounds us – or niwe in their language – which can pick up toxic energies from the environment and the traumatic issues of our past. 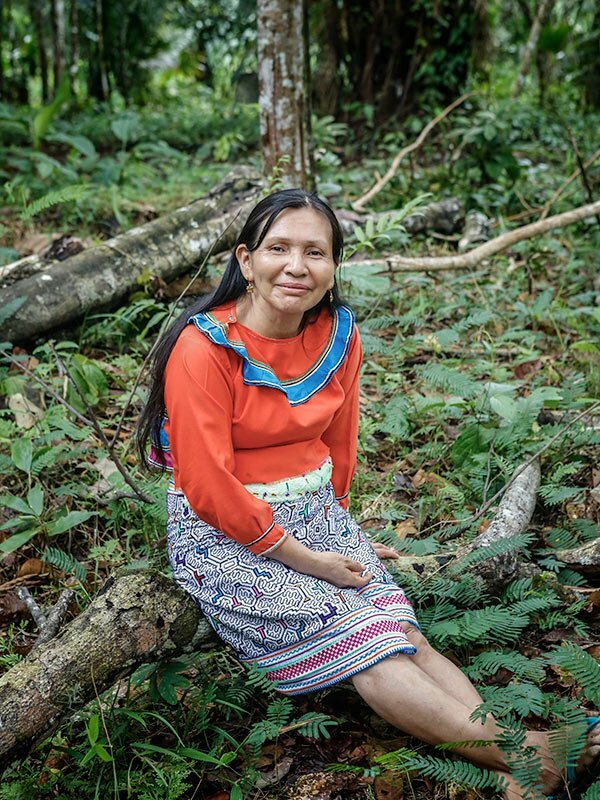 The Shipibo healers’ encyclopedic knowledge of medicinal plants (rao) of the Amazon Rainforest allows them to heal a huge range of psycho-spiritual, emotional and sometimes physical conditions. They do this through ancient healing practices involving incredibly beautiful ikaros (songs of the plants), intense perfumes, individually prescribed plant remedies (available on our 12-day and 1-month programs) and powerful energetic work. The Shipibo tradition is a system of plant-spirit shamanism that facilitates healing from a vast number of different plant and tree spirits, who transmit healing energies through the ikaros sung by the healers in ceremonies. The Onanya see ayahuasca as a nexus to the plant-spirit worlds, and is not the only plant spirit they work with. The key to the depth and efficacy of this ancient healing system is to call in and work with a plethora of other plant spirits in each ceremony, alongside ayahuasca, to affect deep healing. Without bringing together a team of plant spirits, the healing work of ayahuasca alone would be more limited. To be clear, the only plant brew guests drink in ceremony is ayahuasca, although you will receive energetic healing from many different plants spirits in every ceremony. We provide potent and visionary ayahuasca sourced from deep in the rainforest of the Shipibo territories. Our ayahuasca is made from cielo (sky/heaven) ayahuasca and chacruna with no admixtures. The ceremonies led by our healers offer the highest levels of shamanic mastery available in the Peruvian Amazon combined with an exemplary track record in terms of safety, protection, care for and support of our guests. healers and guests. Critically, they also hold space, listen, guide and/or inspire guests throughout workshops, with all communication in English. We help our guests understand how to work with ayahuasca and all that this entails: how to process difficult emotions, handle projections, surrender, manage expectations, face challenges, overcome fears, embody teachings from the plants, incorporate visionary experiences and move from the head to the heart. Our facilitators have many years of personal experience with ayahuasca and ‘walk their talk’. Through having faced and integrated their own pain and challenges and transitioned from self to service, they are able to share from a place of personal experience and help guide others through the same process. We offer a substantial amount of integration support during the retreat to help you process your healing experience after every ceremony. We also offer instruction on how to sustain and cultivate any breakthroughs and insights received during your retreat and how to ground transformative healing experiences into day-to-day life. We are deeply committed to our guests’ healing journeys and are passionate about our work. We ensure that every person who comes to the Temple receives an extremely high level of attention and experienced counsel (where wanted and/or necessary), and is held in a compassionate and caring environment throughout the healing process. The Temple’s ayahuasca retreats are the beginning of a much longer process of healing and self-exploration. Our retreats offer a significant intervention to address chronic emotional pain and psycho-spiritual issues that accumulate in modern life, and a profound catalyst that accelerates our overall journey back to wholeness. Our ayahuasca retreats effect substantial, measurable and lasting change in most of our guests’ lives. Healing with ayahuasca works in cycles. For most guests, one workshop will bring their lives back into sufficient alignment to continue a path of healing, expansion and self-discovery without further treatment from ayahuasca. However, we also see some guests returning to continue their healing work with ayahuasca after their first retreat. We advise in most cases that it is important to not return before having sufficiently focused on integration for at least six months to a year after a retreat. Please note that ayahuasca is not a panacea. We can never offer any guarantees regarding healing, but we do sincerely and wholeheartedly promise to always try our best. The key to successful healing in most cases is the combination of a quality ayahuasca brew, highly skilled and well-intentioned healers acting as conduits to a large team of plant spirits, experienced and caring facilitators, and a safe and compassionate environment. Of equal importance is your own approach to healing – coming with clear intentions, a strong will and the courage to face your shadow. After a retreat, the single most important predictor for a successful outcome is the integration process in the immediate 6 to 12 months after leaving the Temple. that have accumulated in your system as well as bring up many fragmented aspects of your past that have been buried in your subconscious. It is important to understand that this process not only takes place during the ceremonies but also often for days, weeks and months after a retreat. Ayahuasca and the plant spirits will continue to work with you after you leave the Temple and the more self-reflection, courage, responsibility and awareness you bring to the process during this crucial phase, the more benefits you will gain. Ayahuasca helps dissolve the illusory self and significantly increases awareness of self-constructed boundaries, as well as highlighting and helping release fear-filled and self-limiting beliefs. Ayahuasca initiates a long-term healing journey that supports overall liberation from the hypnosis of conditioning; shining a light into your shadow and helping you to become aware of negative patterns. Ayahuasca helps you become intimate with your fears, embrace your shadow and consciously parent yourself back to wholeness. This is the slow path towards freedom from fear, resulting in increasingly feeling lighter, brighter, more vital, more compassionate, more in touch with yourself and the world around you. Ayahuasca will support you throughout your process for many months, even years after your retreat. Through regular group discussions and instruction throughout the workshop, followed by our 3-month Continuing Care Program coming later in 2016 – which will provide an online community and forum, and weekly emails offering a road-map and tool kit of meditations, exercises, practices, resources and general advice for the months and years ahead – we will support you significantly with your overall integration process, which is as important as the treatment you receive during the retreat. A high ratio of healers to guests – 5 healers per retreat. Group size limited to 23 people. A cleansing steam bath on the first day of the retreat. Jain Póiti (banos de florecimento) – cleansing, purifying and strengthening floral baths. All food and drink – a deliciously simple diet suitable for working with medicinal plants / ayahuasca. All transportation to / from the Temple. Personal expenses (meals and drinks in Iquitos, etc). A portion of the income from our ayahuasca retreats funds critical projects on environmental justice, sustainable development and intercultural education run by our Peruvian NGO – The Chaikuni Institute – partnering with Indigenous People in the Amazon. Payments are only refundable provided we have a minimum of 8 weeks’ notice prior to the start of a workshop. Any refunds given will occur a USD 100.- administration fee. You may change your workshop reservation to another date at no cost or transfer your payment(s) to another participant, provided said participant has been approved to attend a workshop and that it is a minimum of 8 weeks prior to the start of the workshop.